Canadians overwhelmingly feel there should be a referendum on any electoral reform, suggests a new poll. But first-past-the-post voting retains a high level of satisfaction. Will Canadians care if the Liberals follow through on their campaign promise to change the way they vote? Canadians strongly feel that a referendum on any changes to the electoral system should be held, according to a new poll. But it's not clear that Canadians are clamouring for a change in the first place. The poll by Insights West released Tuesday was conducted last month and involved about 1,000 Canadians. It suggests a high level of satisfaction, if not enthusiasm, with the current first-past-the-post (FPTP) electoral system. Fully 62 per cent of respondents said they were very or somewhat satisfied with the system as it stands, with 19 per cent saying they were "very satisfied." Only 25 per cent said they were dissatisfied with FPTP. Podcast: Do the Liberals need to hold a referendum on electoral reform? But if the Liberal government decides to go through with electoral reform, Canadians overwhelmingly agree with the opposition Conservatives that a referendum should be held. Nearly two-thirds, or 65 per cent of Canadians, said a nationwide referendum should definitely (37 per cent) or probably (28 per cent) be held on any changes to the electoral system. Seventeen per cent said a vote in the House of Commons was probably or definitely enough. Majorities were in favour of holding a referendum across all political stripes, topping out at 76 per cent among Conservatives voters, but also including 68 per cent of Liberal supporters. Satisfaction with the FPTP system was also similarly high across the political spectrum, with 67 per cent of Liberals and 61 per cent of New Democrats saying they were satisfied with the current way Canadians vote. The Insights West poll found that while a plurality of Canadians agreed with adopting any of the three proposed electoral alternatives included in the survey, there was no particular favourite. 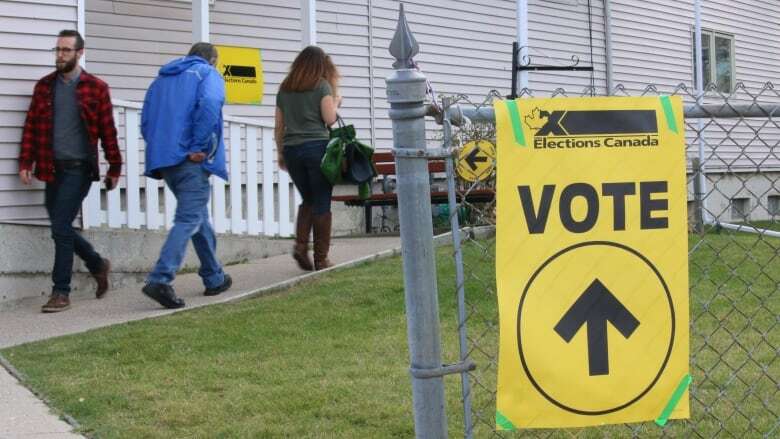 Between 40 and 45 per cent of Canadians agreed with adopting either a party-list proportional representation system, a single-transferable vote system (STV), or a mixed-member proportional representation system (MMPR). Between 31 and 34 per cent disagreed with adopting any of these systems. Of the three biggest parties, Liberals were the most likely to support STV or MMPR, while Conservative supporters were least likely to look favourably on either of the proportional representation systems. New Democrats, meanwhile, preferred party-list PR, at 51 per cent against 41 per cent for the MMPR supported by the party. For all the political heat surrounding the issue of electoral reform in the House of Commons, this poll suggests that Canadians are largely satisfied with the FPTP system and not particularly interested in any of the alternative options on the table. Previous polling by Abacus Data, commissioned by the Broadbent Institute, also showed mixed views on electoral reform. But with three parties in the House pushing for reform of some kind, the pressure may come from inside the Queensway rather than outside of it — and the choice of proposed alternative may be met with a collective shrug from Canadians. The question of whether or not to hold a referendum, however, may prove to be more problematic. The poll by Insights West was conducted between January 24 and 26, 2016, interviewing 1,002 Canadians via the Internet. As the poll was conducted online, a margin of error does not apply.